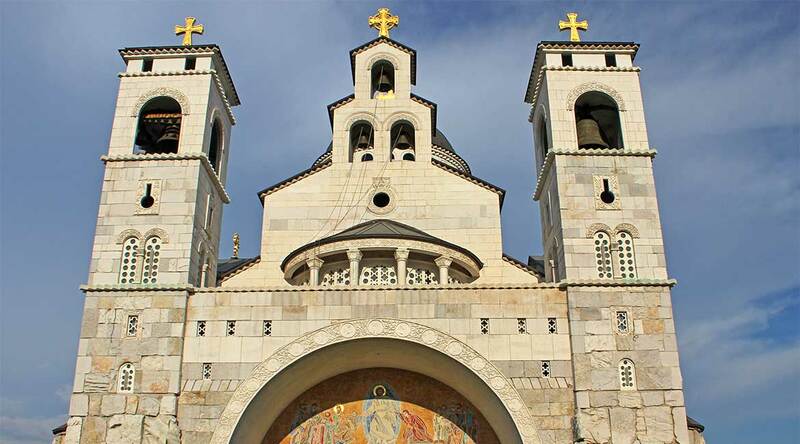 Saborni Hram Hristovog Vaskrsenja or the Cathedral of the Resurrection of Christ in Podgorica, Montenegro, is a cathedral of the Metropolitanate of Montenegro and the Littoral of the Serbian Orthodox Church, construction of which began in 1993. Consecration occurred on October 7, 2014 on the occasion of the 1700-year anniversary of the Edict of Milan on freedom of religion. The cathedral is located in the “New Town” of Podgorica,west of the Morača river. In the close proximity of the cathedral, there is an old Christian necropolis with foundations of a cathedral church from the first millennium.